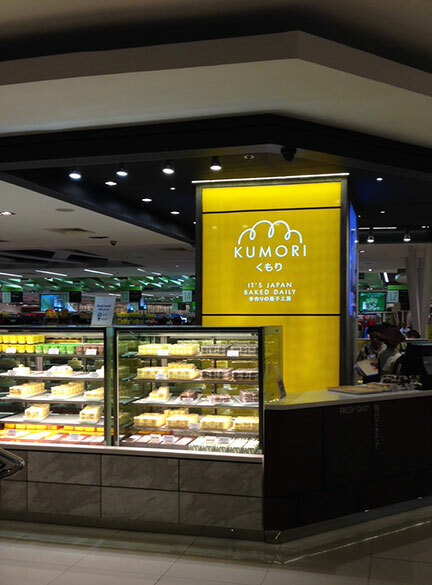 I found myself in Landmark one afternoon and found Kumori Bakery by the Supermarket entrance. Their tag like “It’s Japan baked daily” caught my eye and as most of you all know, we are big fans of Japanese fare. 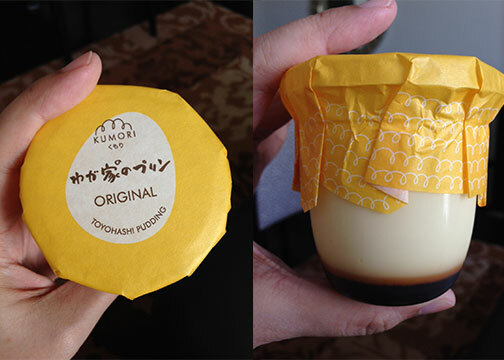 I went around their kiosk and they specialize in Hanjuku Cheese, it appears like a two-bite Japanese cheesecake. There is also a chocolate cheesecake variant available. They sell these per piece or in a pretty box of 5. Japanese cheesecakes are different from the American baked cheesecake variety which are on the dense side while the Japanese versions are on the fluffier side. 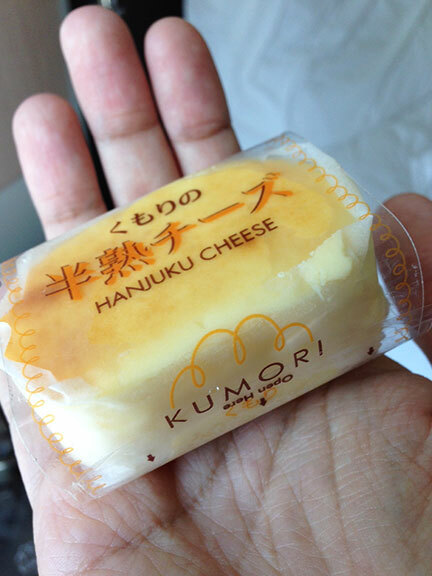 I bought a couple of the Hanjuku cheese, I liked them because they’re small and very delicate. It’s soft with a moist cream cheese bite. Another item I enjoyed a lot is the Toyohashi Pudding and it comes in three variants: original, green tea and chocolate. I love custard, I prefer the original one among all three but the green tea and chocolate ones are good in a different way. The green tea is less sweet while the chocolate reminds me of Magnolia Chocolait in pudding form. All three custards have similar consistency, they’re more on the firm side but all variants are very, very smooth. There are savory pastries as well, I got to try the Salmon bonito. It looks like a blown up version of a Takoyaki from the outside but instead of octopus, this is stuffed with flaky salmon. Japanese breads tend to lean more on the soft side, if that’s your thing. There are so many other items I wanted to try, I saw something that looked like a Cannoli. I think it’s called a Krone, from the display it was a hollow flaky pastry and the staff only pipe in the custard filling as you order. There are other Japanese pastries like Melon pan, Yakisoba bread, Curry bread but too much bread will make me balloon. I’ll probably go back and bring an assortment to share with friends. I can't wait for the assortment. Let's have an assortment party!